Respected sir, i want to say you that i buyed a hcl desktop of ezee model on 17/04/09 from silicon impex of nehru place.but there is problem in motherbord and smps of my computer which is in under warranty period of three years from buying date of computer so that i complaint in hcl company regarding this problem on 01/11/2010 so engineer visit on my home to check this problem so he take out motherbord and smps of computer to replaced it. during this month of november i take update of replacement on their coustmer care no. but still they not replaced motherboard and smps of my computer . 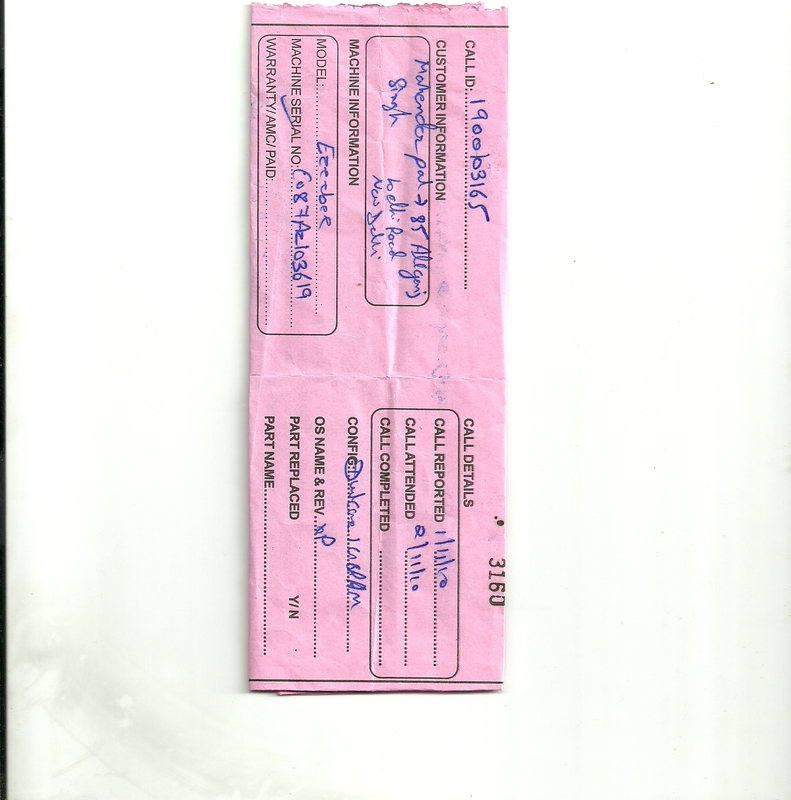 so , kindly take some action against them on this problem i also attached scan copy of hcl complaint coustmer service report form in which all information regarding this complaint is mentioned.